Temperature indication from -9,9 to +99,9°C, suitable for measuring high temperature processes such as pasteurization, beer mashing, sugar syrup for CSD etc. Integration into the bus system VinInfo possible. The elegant stainless-steel control cabinet FermFlex-Box serves to control tanks temperature automatically, from a central point in the wine cellar or in the brewery. 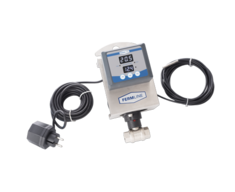 For each tank to be controlled a FermFlex-Box control card is included. Therefore the temperatures of all tanks can be viewed at a glance and the settings can be changed on the spot. 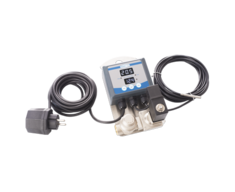 The FermFlex-Box control unit receives its input through a cable-type sensor (available as an accessory) which is placed in the thermo-well of the respective tank. The controllers are designed in such a way that temperatures are optimally visualised: There are two separate displays for the pre-set temperature and the measured temperature (is temperature). The operation mode of the controller - cooling or heating - is indicated on a LED display. 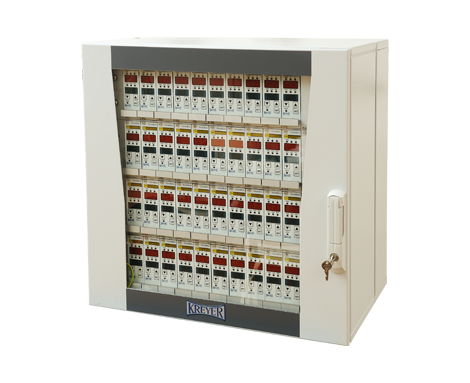 Moreover the control cabinet has two integrated relays for pump control: one for heating and one for cooling. The FermFlex-Box control cabinets are equipped with a PC interface so that the temperature settings can be adjusted either physically on the cabinet or in the office using the Ferm-Software installed on a Server PC (option). Using the software allows easy and quick analysis of the measured data, data-saving of finished fermentations for later evaluation and archiving. Software access is enabled over lap-top and mobile phone over safe internet access. 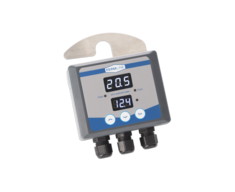 The new FermLine controllers can be locked by code – single units or the whole installation at once via BUS system - to prevent temperature modification by unauthorized personnel. 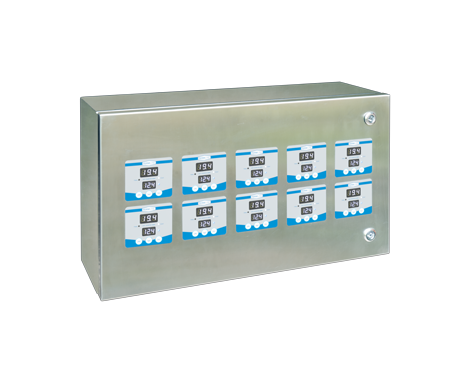 The FermFlex-Box can also be completely integrated in the bus system VinInfo. The cabinets are available inthree different sizes – for 10, for 20 or for 30 controllers (one controller per tank). With this new generation of FermFlex-Box it is possible to add more controllers afterwards if the maximum amount of controllers (10 / 20 / 30) is not needed for the initial installation. 3 Sizes - 2 versions each !